Are you, or do you know, an Inspiring and Outstanding Leader? You are at a senior level within your organisation (either an employee or a business owner). You are a leader in business and display your leadership by mentoring, inspiring and encouraging others to achieve. You lead by example and can demonstrate your leadership skills through accelerated growth, improving team performance and financial results. GUIDELINES: You may be a Director in your own business or at a senior level within a Company or organisation. Either way, you are at a senior level and manage a team(s) and you are in a leadership role. The Judges want to hear about your role, what you do on a day to day basis, your leadership style, examples of how you have achieved growth through leadership and how that has impacted on the financial performance of the business. If you have inspired others or mentor as part of your role, please tell us about it. 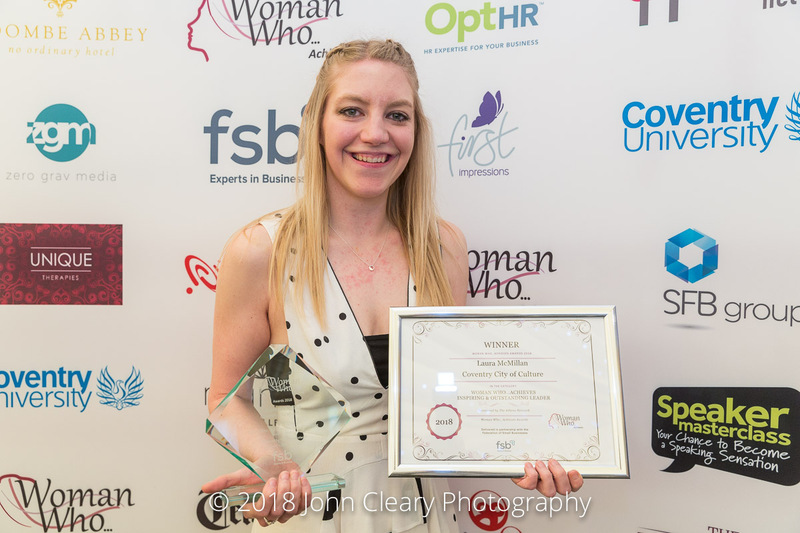 The Woman Who Achieves Awards 2019 are now open for entry. You can find out all about the Awards here: ENTER NOW. The 2019 Awards Finalists are being announced on Friday 8th March (International Women’s Day) at a special event at Coombe Abbey Hotel, Coventry. Fleur Sexton DL is Deputy Lieutenant of the West Midlands, representing Her Majesty’s Lord-Lieutenant of the West Midlands, Businesswoman of the Year 2017/18 and Managing Director and co-founder of multi-ward winning PET-Xi Training, whose relentlessly upbeat teams and innovative programmes deliver impact, inspiration, productivity and value across the UK. PET-Xi recently pioneered a UK wide “Upskilling the Nation” scheme for unemployed & homeless adults, helping them to return to the workplace and society and an apprenticeship scheme to help young people gain vital skills, experience and qualifications in the world of work while working with companies, helping employers to raise standards and close the skills gap.